Nothing is more frustrating than finding your car has damage from impact, or a series of dings that never escape your attention. If the damage is less than a size of a football and the paint surface is not cracked (exposing the metal finish), you may be able to avoid full-body work that requires sanding, body filler and refinishing. 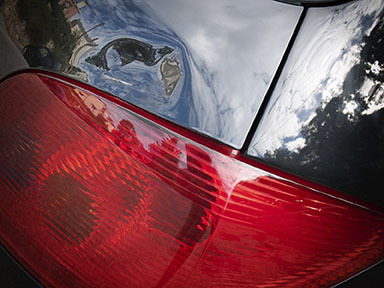 Paintless dent repair involves using specialized metal rods and reshaping mallets to push out dents from the inside out. The method is most effective with newer models that have high-strength metals and resilient paint finishes. How Effective is Paintless Dent Repair? Most dings and small dents disappear when tapped and pushed out with the right touch. 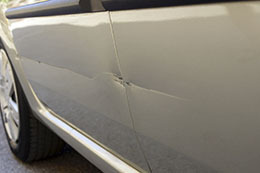 With larger and deeper dents, a dent may initially disappear only to come back later on. In such cases, a dent repair may require reshaping the metal around the dent to keep the dent from recurring. Location can also affect the ability to be able to apply the right pressure points, especially when a dent is located in a tight access space or against a structural beam, such as in a door panel. 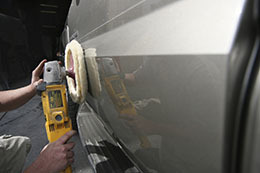 A good dent remover can make a car surface smooth and avoid imperfections in the paint finish. 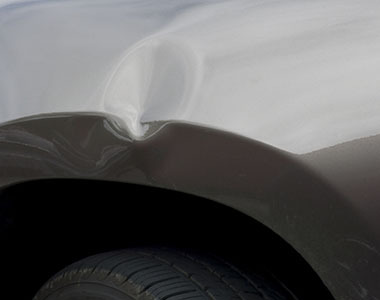 The key is understanding the surface material and nature of the dents involved on the auto body. Scratches are not always what they appear to be. 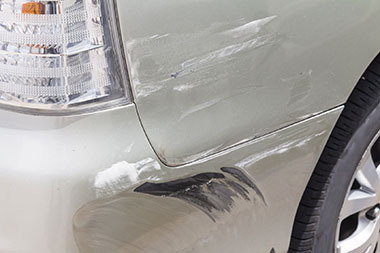 Frequently what we think is a scratch is really material or debris on the surface from impact with a softer paint or material (such as hitting a bumper). These are essentially scuffs. A car body has multiple layers: clear coat, color, and primer. A scuff impacts the clear coat and can be removed with wet/dry sandpaper, rubbing compound and a good polishing. If a scratch penetrates pass the clear coat into the color paint layer, it requires some painting to fix it. Regardless of size, once the paint surface is scratched, the entire part must be repainted in order to provide a perfect seamless finish. Not taking this approach (which we do not recommend), and touching-up a scratch with paint actually makes the scratch more visible as it will not match color consistently (due to oxidation and exposure), much less blend. Deep scratches in which metal or plastic of the auto body are exposed, necessitate prep work such as filler and successive sanding in order to eliminate ridges or valleys caused by scarring the auto body surface. Once a smooth surface is re-established, the layers of primer, color and clear coat are applied to build back the original quality finish.